« When anterior epicardial fat . . . generates Q waves . . . diagnosis of ASMI gets busted ! Why stress & obesity related hypertension . 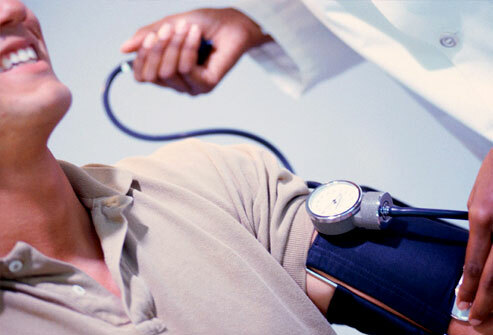 . . is not considered as secondary Hypertension ? How intelligent is this traditional classification of HT ? The incidence of primary and secondary HT varies depending upon the level of investigation we do . One of my regular patient who gets to me for HT .He is 42 year old man works in financial institution with lots of work stress and he was marginally obese as well . He was investigated for all known cause of secondary HT and every parameter was found to be normal and was being treated as primary HT. When he was about to leave my clinic he bowled this google ! Doctor , why do you call mine as primary HT ? . . . When you yourself say my stress and weight is responsible for high blood pressure ? Valid question is it not ! . . . I told him “somehow” , we have not been taught in medical schools , to consider stress of life as a factor responsible for developing secondary HT ! Strange definitions in medicine continue . Not every one with high stress levels develop HT .There are some unknown factors operating .Till we know that we will keep calling them as primary HT . We live by perceived knowledge on a moment to moment basis ! . Ignorance tries to lock the doors of knowledge . But we continue to open new doors . That is the only purpose of medical research !